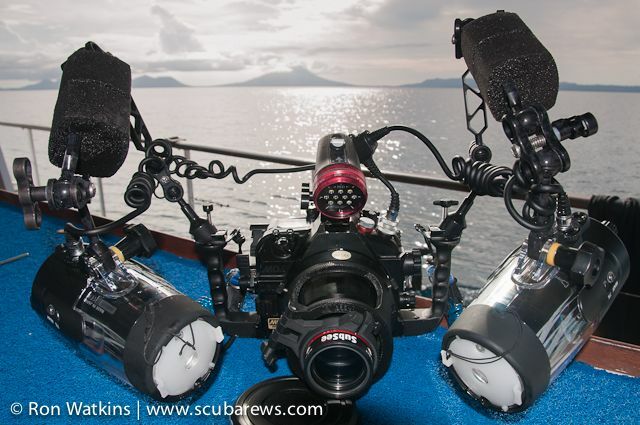 Whether you are brand new to underwater photography or an advanced shooter, photo workshop dive trips are an excellent way to learn and improve your skills. They are also a great way to meet like-minded people and expand your u/w photography network. When the u/w photography bug bit me, I decided to take a liveaboard workshop. At the time, I thought it was really expensive and that I should spend the money on more equipment rather than instruction. Looking back, it was the best investment I have made and after the hands-on instruction, critiques, feedback and in-water demonstration I had solid fundamentals to quickly advance my image quality. 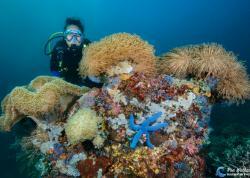 Workshop trips feature instructors that are professional or accomplished photographers who are familiar with various techniques, equipment, destinations and enjoy sharing their love of underwater photography with others. There are a wide variety of photo workshops in various destinations, with different durations, focus and price levels. Live-aboard dive trips will maximize your bottom time and land based resort trips will offer additional topside opportunities. As video becomes more popular, many of the trips will also include sessions and techniques on improving video. Selecting the right workshop is often a personal preference, but make sure that the trip selected is offered though a reputable organization that has years of proven experience and positive feedback. Do your research and when you are ready to invest in significantly advancing your skills, book early because the best trips fill up quickly. Check out all of our UWPG Photo Workshops and Trips. While on a whale shark snorkel, a tiny filefish swims right up to the mask of this photographer. What would you do? Once you decide on a trip that is best for you, don’t just sit back until it is time to leave or you will not maximize the potential of the learning experience. Like anything in life, you will get out of the trip what you put into it. Follow these key steps to get the most out of your u/w photography workshop investment. The reason for attending a workshop depends on past experience, interests and how the person wants to grow as an underwater photographer. The following will help you determine what is important to you. Proper equipment setup and care is critical before entering the water. 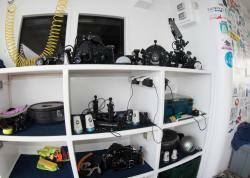 Once set up, you need to know what your equipment can and can't do to in order to maximize success underwater. Composition is key in photography, and learning about the rule of thirds, leading lines and other basics of composition is critical no matter what camera you're using. 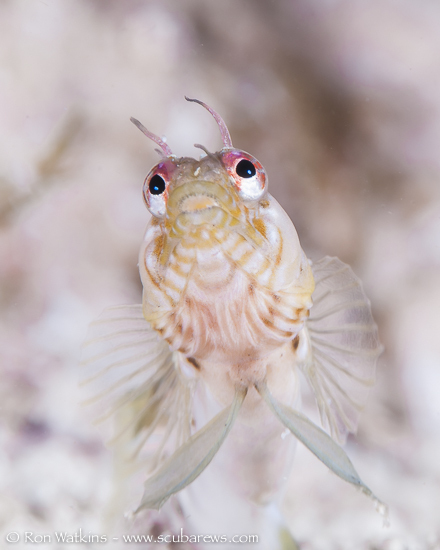 Behavior photos tell interesting stories about underwater marine life. 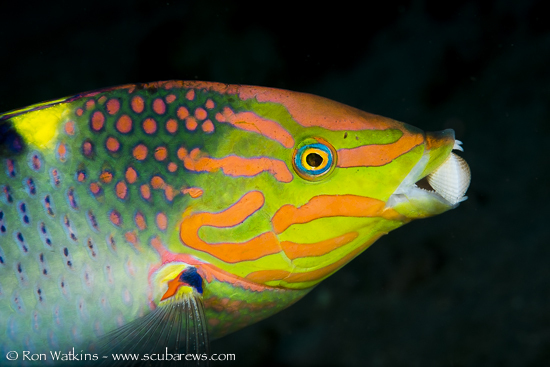 This wrasse was observed picking up clams and slamming them against a rock to get them to open. To capture images like this you have to be patient and often spend the entire dive anticipating a special moment like this. Other times it happens quickly and you have to be ready for the shot. Wide-angle photography can be a challenge to learn because you need to have the right equipment, good control over your strobes and an understanding of how to shoot in manual mode. 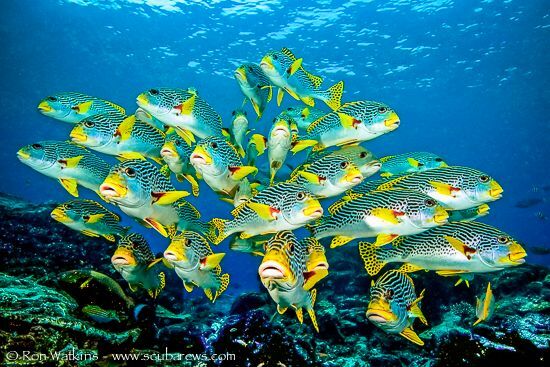 You can't be fumbling around with your strobes and camera settings when approaching a skittish school of sweetlips or they will scatter. 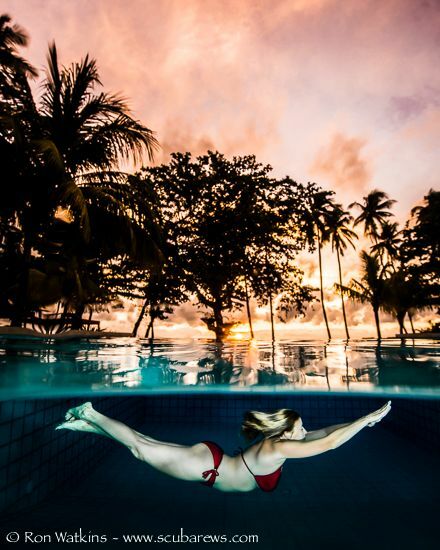 Shooting over-under split shots can be tricky, but with a few simple tips and tricks you can create images that will amaze even your non-diving friends. Add a model to the image and it will add an element everyone can relate to. Fast action shots like this dolphin at night are easier to capture when you set a high shutter speed and preset your focal distance, waiting for the subject to swim into the focal plane (in sharp focus). Combining the use of strobe light and ambient light is easy to learn if you know how to properly adjust your shutter speed and aperture. 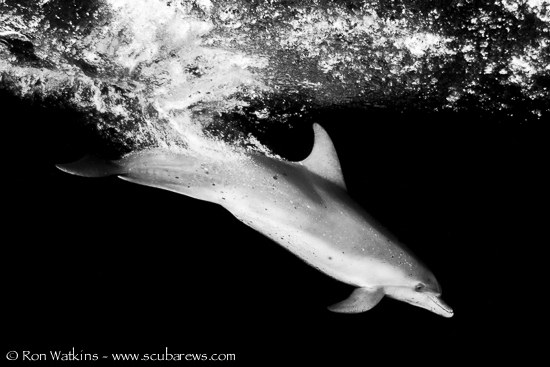 A diver silhouette and light rays are two other elements that can be added to make your image even more interesting. Shooting RAW format provides the most flexibility in post processing your images. 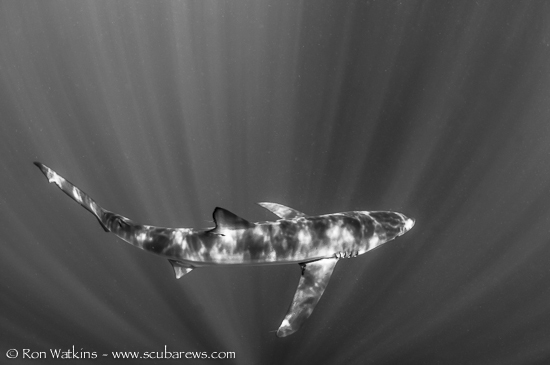 Converting to black and white can add a dramatic effect to some images, including this shark lit by ambient light beams. Once you prioritize the above items, you need to communicate them to the trip leader in advance so that they can be prepared. Not all trip leaders will be experts in every category, but if there is something important to you and they have time, they may research and practice the technique or determine if others on the trip may be experienced in those areas. The trip leader will also prepare material to cover the topics of interest and if needed possibly bring specialized equipment to use. Most good trip leaders will also send out an email well in advance of the trip requesting this information from the participants, but if they don’t, share it with them. 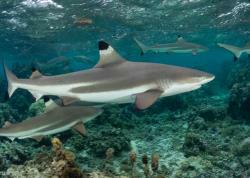 Several years ago I booked a photo workshop to Tiger Beach in the Bahamas and only brought a 10.5 fisheye lens. When I arrived to check-in at the office, Jim Abernathy asked me if I was using a 10-17mm lens because that is the only lens he shoots with and that the 10.5 would be very limiting. Luckily, I was able to find a lens and focus gear that same day before the trip started. If I had only communicated with Jim ahead of time, I could have avoided a lot of stress and a potential missed opportunity. Making an inventory of your equipment is even more important before a workshop because the equipment needs to support the goals of the trip. If you want to try wide-angle for example, make sure you have the right lens, port, extension rings, focus rings, diopters, etc. that are required to effectively shoot wide-angle. Call experts at Bluewater Photo to make sure you have everything for the destination. Do this inventory well ahead of the trip so that if something needs to be ordered there is time for it to arrive and tested. If there is a critical piece of last-minute equipment missing from your inventory, contact the trip leader immediately and see if they can bring it for you from the shop or if they will have rental or demo equipment to use. if you are looking to learn how to shoot better macro or super macro, make sure you have the proper macro lens, diopter and ports. 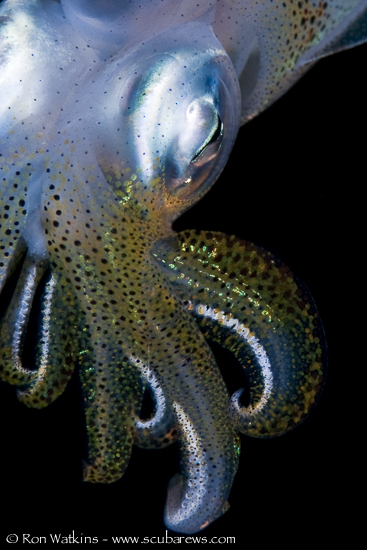 One of the most important tools in macro photography that is often overlooked is a high-lumen focus light. If it has been awhile since your last dive trip or you have new equipment, make sure you make time to practice with the new setup prior to departure. If there is no convenient access to local diving, jump in the pool and practice with kids, models, toys, dogs, etc. It is also a good idea to go online to sites like www.uwphographyguide.com and read the articles on topics of interest for the workshop. There are also a number of excellent underwater photography books on the market for all levels and sometimes the trip leader will provide recommended reading prior to the trip to level set the group. You won’t be expected to be an expert on the equipment when you arrive at the workshop, but you should at least be confident in the new features and how to use them. Try not to show up like I did for the Bahamas trip with the equipment still in the box. 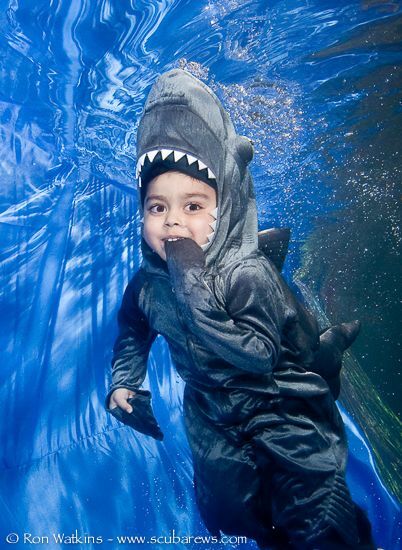 Why not fine-tune your camera settings and strobe positioning in a pool shooting sharks? 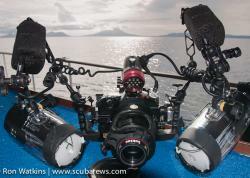 Before I take a new piece of equipment underwater, I always spend a fair amount of time mastering it above water. 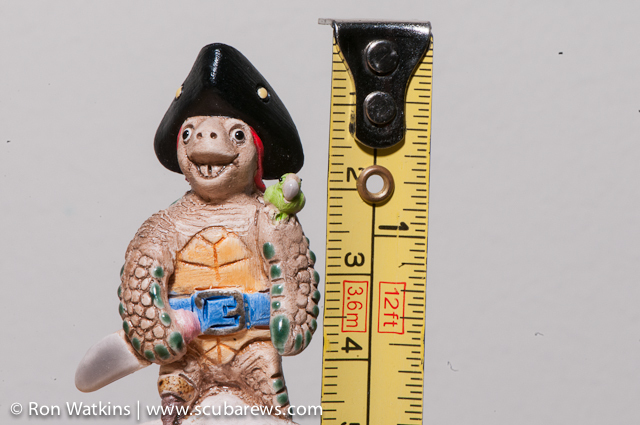 I tried out my new super macro setup in my office to learn the minimum focal distance, how to manual focus, how to shoot with and witout the diopter and the proper camera settings. Before every trip, I do a lot of research on the location and marine life expected. Read previous trip reports, look at photo galleries from the location and talk to others that have been. Knowing what to expect and the types of images to capture is important. I like to have a list, or script, of the subjects and techniques to try out on each. Don’t just try to duplicate others work, but look for your own personal style and have the trip leader help you accomplish that. Besides the usual laptop, backup drives, memory cards, card readers and power supplies, make sure you have downloaded the necessary software you want to use for post processing on the trip. If recommendations on software are not provided, make sure to ask. Many post processing packages offer 30-day trials, which provide a risk free way to try it out on the trip. After installing the software and downloading all of the upgrades, become familiar with the basics, practice importing images, playing with all of the different features and if possible, get an online tutorial on the basics of the package. At the Workshop – Shoot, Review, Improve and Repeat! When the day finally arrives, you will be well prepared to make the most of the workshop. Approach it as a learning experience where you can learn not only from the trip leader, but the others on the trip. Don’t be shy about asking for help, questions, and feedback on images or equipment. When asked by the trip leader to share images for the review sessions, don’t be shy and participate if you really want to improve. Don’t just provide your best shots either, but include the images that didn’t quite come out as planned. Listen closely to the feedback received and work on incorporating it. Make it a point to dive with the trip leader or other experienced photographers on board and watch their style and technique (without screwing up their images). Also ask them before getting wet if they will also watch you and your technique. 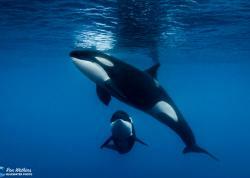 Once out of the water, discuss with them what they were doing and recommendations they have for you. 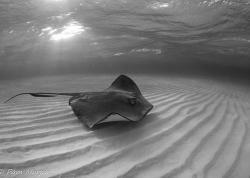 Underwater photography workshops are an investment on time, money and vacation days, so make sure to get a good return. Prepare for the trip like you are preparing for an important business meeting and do your research like you would for any investment. It is best to be humble on these trips and take all of the advice you can get. Get out of your comfort zone and try new techniques. Although many of these workshops have ‘friendly’ competitions at the end of the trip, don’t make winning it your main priority or you will miss some valuable lessons. Most of all, have fun, enjoy the trip, make new friends and appreciate the beauty of the underwater world and unique marine behavior. Like underwater photography itself, these workshops can be addictive and most likely you will find yourself going on additional trips with the same organizations, trip leaders and fellow photographers. 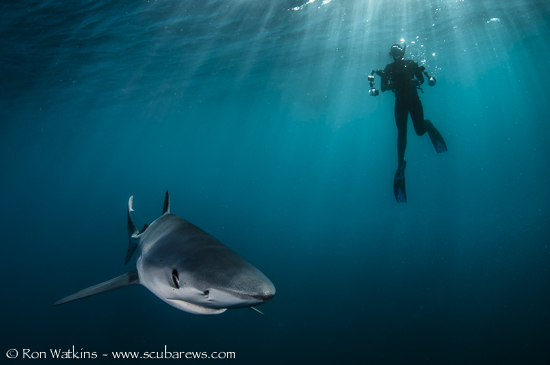 Ron Watkins is an international award winning photographer, frequent contributor to underwater photography guide, and Bluewater Trip Leader. 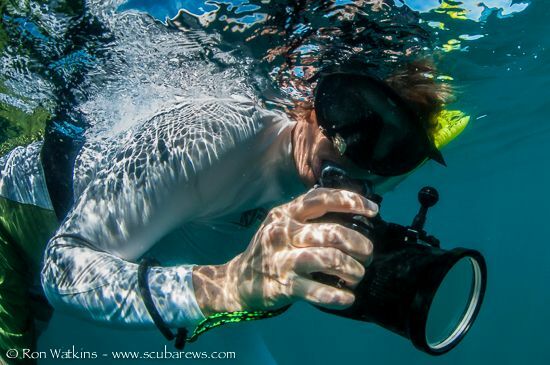 He has been passionate about underwater photography and marine conservation since the 90’s and his photography has appeared in magazines, websites, juried art displays, national aquariums, libraries and private collections. More of Ron’s photography may be viewed at www.scubarews.com. Ron Watkins is an international award winning photographer and writer. 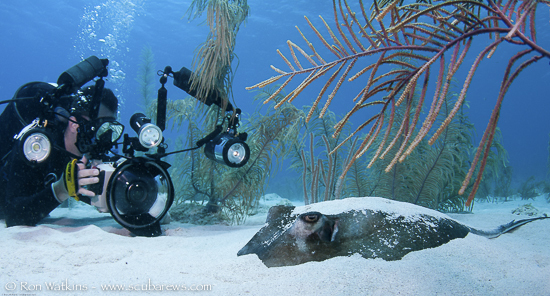 He has been passionate about underwater photography since 1996 and his photography has appeared in magazines, websites, juried art displays, national aquariums, libraries and private collections.